Having fallen cheaply in the series opener, Travis Head will take the field at his Adelaide Oval home ground knowing two things. 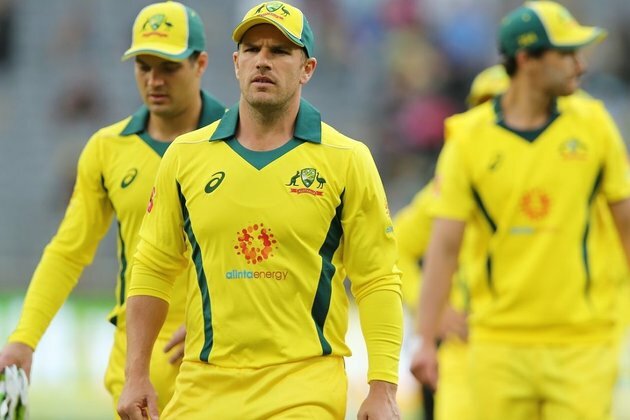 The first is that this Australian side is short of confidence and in desperate need of someone to turn this around for them, preferably from the top of the order where he is posted alongside the captain Finch. The second is that in recent times, Head has made a habit of starts that do not become big scores - three consecutive fifties in the ODI series in England might so easily have been more, and he also slipped frustratingly short of a debut Test hundred in the UAE. Selection in this series also means he lacks the Sheffield Shield platform to shore up his spot in the longer form of the game. No-one set things up for South Africa in Perth quite like Dale Steyn in his opening spell. While new ball swing was only subtly available, he used this to his advantage with a wonderfully precise length, line and angle across the left-handers in particular. The combination of experience and cutting edge Steyn provided in the opening match spoke volumes for his quality as a paceman, and also sent Australia spiralling in a manner from which they never quite recovered. On an Adelaide pitch that also promises at least a smattering of grass, fortune may well hide in the palm of Steyn's right hand. Australia are hopeful of returning Shaun Marsh to No. 3 following minor surgery for an abscess on his buttocks, at the expense of D'Arcy Short. They must also consider the inclusion of the legspinner Adam Zampa. Given how balanced and settled the South Africans appeared in Perth, an unchanged side appears likely. Adelaide Oval's drop-in pitch generally sports a coverage of some grass to aid pace off the surface and also the bat. The weather forecast is for fine, temperate conditions of about 20C. "When there are changes, and there's things being said and written about, I think it's hard not to read it sometimes when it's everywhere. For me personally, I don't think it affected me in terms of my preparation or my performance. You might spend a little bit of time reading it, and putting some kind of doubts in your mind at times. But I think it's about each individual being 100% committed to their plans and doing whatever the team needs to get the job done." "If you do get an opportunity against Australia where you can put your foot on the gas, it's really important to try and do that because it's not often you get those opportunities."